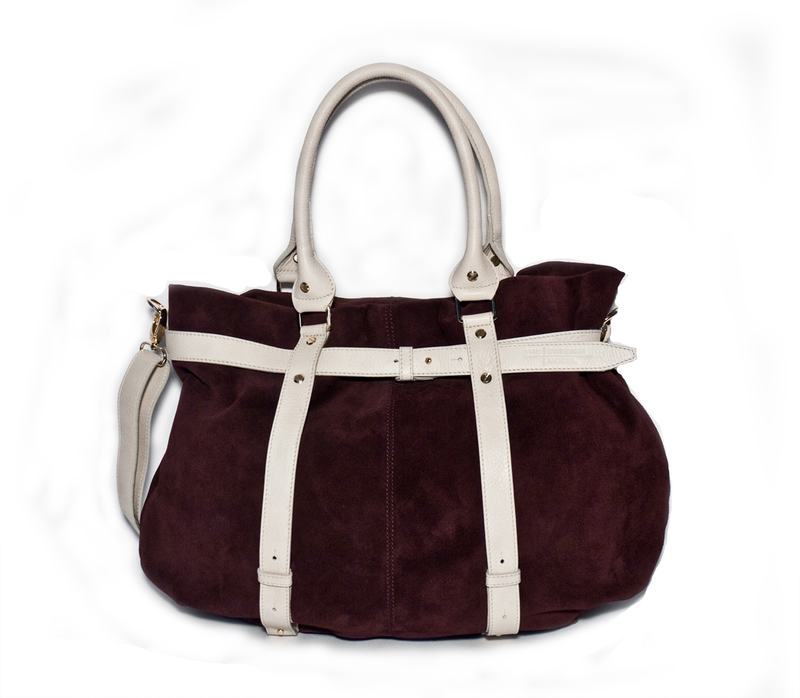 Large slouchyLarge slouchy leather shopper with fastening straps that goes around the body horizontally and vertically and lead into the double handles at the top of the bag. A magnetic lock on top. 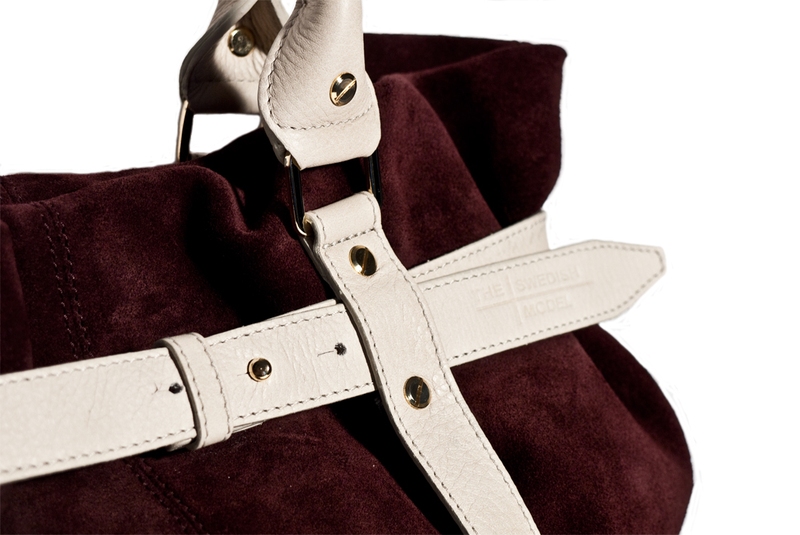 The interior is lined in red with two interior pockets, one zipped. 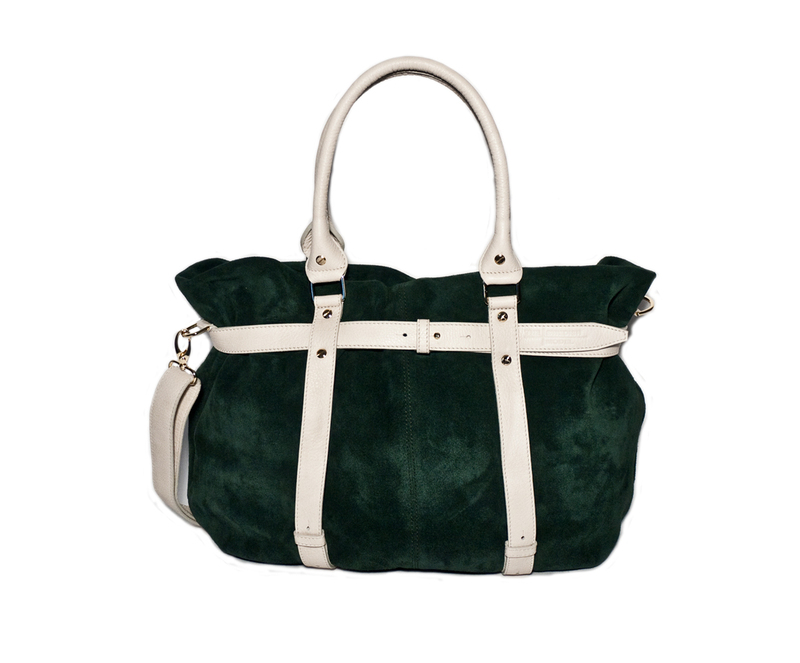 Has a detachable shoulder strap. 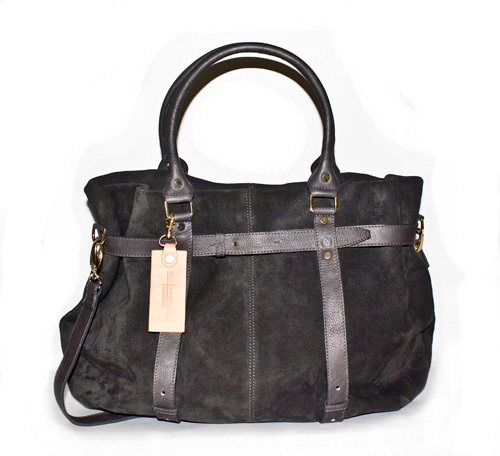 shopper with fastening straps made of vegetable tanned leather. 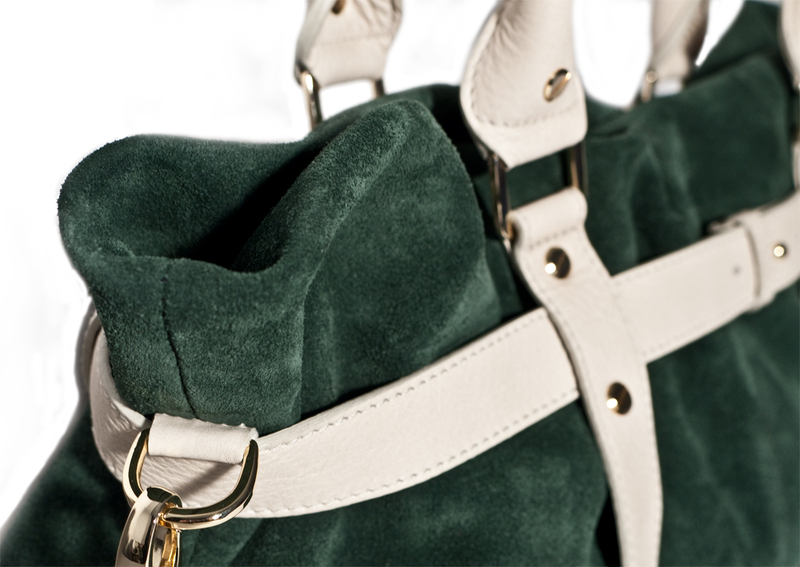 The fastenings goes around the body horizontally and vertically and lead into the double handles at the top of the bag. The interior is lined in greige jacquard with two interior pockets, one zipped.